This week I've just been so busy that I haven't had time to really keep up with the blog! This week's Primetime News and Schedule Page is here; next week's, which is not completed yet, is here. Check it out and find out what's on TV this week! CBS sure is cleaning up in the ratings! Wow! 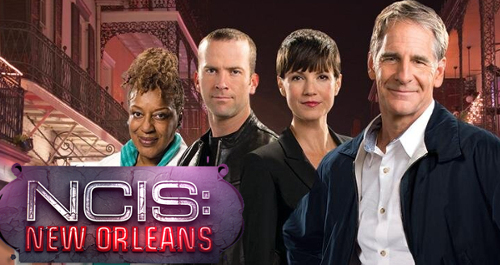 I'm very glad that "NCIS: New Orleans" is doing well. I always love Scott Bakula. It's great that he's successful again. I do miss his old show, though, "Men of a Certain Age." He was amazing in that. So funny! I have two DVR's; one in the bedroom and one in the living room. I think the one in the bedroom might be developing problems. I've had DVR's for many many years, and after a while they tend to give out (they're just computers, after all). Twice now the one in the bedroom has just turned itself off and not recorded anything, meaning I lost "Days of Our Lives." This means I had to transcribe it by hand, which is NOT fun! I have tons of recordings on there, so I need to copy them to DVD before I call the cable tech support because my guess is that they'll need to send me a new box. In the meantime, I switched it so I record "General Hospital" in there instead. GH is On Demand, so I can always get the transcript from that. It's a shame that all the soaps are not aired multiple times per day. Makes my job harder, that's for sure! We sure miss Soapnet! My living room DVR is filling up, so I've been watching as much on there as I can. Including GH. I'm finally watching December's episodes... If Luke was only one person and the one in charge, then why was he back in Miscavige, and tried to break out, and how come Helena visited him and told him that she was disappointed that he'd try to break out? All of that makes no sense now that we know it's one person. Otherwise this week I watched the usual shows: "The Daily Show," "The Nightly Show," "Last Week Tonight with John Oliver," "The Good Wife", "Forever," "Battle Creek," "Hot in Cleveland", "Younger," "Mad Men," and "Justified." "The Good Wife" was fabulous as always! John Oliver is still kicking the two guys' butts in terms of the comedy, but to be fair, he only has one hour a week to do. They do four nights a week. However, I do have to say, if you can't be consistently funny four nights a week, then why bother? Maybe you should only do it, say, two nights a week. That's the same excuse daytime soaps use...they can't be as good as primetime shows because they have to write 5 episodes per week instead of just one. I might buy that excuse if any of them were 1/5 as good as the best primetime dramas, but they're not. Especially now. They used to be pretty good, but now they're largely terrible. Primetime dramas have gotten better, but daytime has gotten worse. This is not just my opinion. Look at the ratings. If a TV show is good, no matter when it airs or what channel it's on, people will find it. 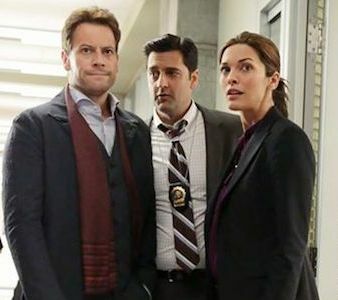 There are plenty of cable shows that get good ratings, and they don't have nearly the potential audience that ABC, NBC and CBS have. If you had a soap that was half as good as "The Walking Dead" or "The Americans" or "Teen Wolf" or "The Royals", it would do great in the ratings. I enjoy "Forever" and I hope it lasts till a second season. I was surprised to find that the whole season is On Demand! Usually they only have the last few episodes On Demand. My brother recently moved to Turkey for a job, and he started watching "Doctor Who" and "Forever" there because they were the only American shows he found. He'd never seen them before and now he's really into "Forever." However, they don't have the last episode up yet. I wonder why? 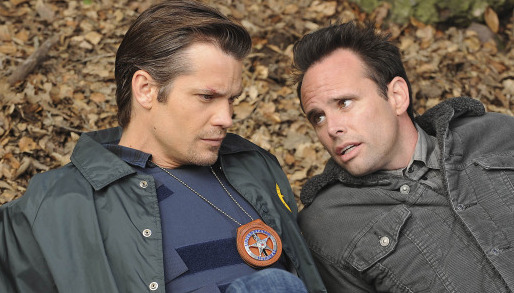 I love "Justified" and it's still so great. So sad that it's almost over. I hope they don't all die in the end. I hope Raylan is left standing, at least, but I wouldn't mind it if Ava and/or Boyd lived as well. I hope Bob is ok! The previews for next week's look so good. I'm still enjoying the new TVLAND show "Younger." It's fun and light, and the characters are great. It's great to have "Mad Men" back. They sure have some silly mustaches. I was a little confused in parts as I struggled to remember where they left off last season. I guess they left off in summer of 69 and skipped ahead to April of 70. I didn't really understand all the stuff with the waitress. I guess she reminds him of the dead woman, Rachel. That was all very odd. And this is the second time that Don had a recently-dead person speak to him (last season it was Bert Cooper, who sang and danced for Don after he died; this time it was Rachel, in a dream). Who is he, Haley Joel Osment? Sheesh. The week's not over but I still have to watch "Backstrom," "Big Bang Theory," and "Elementary." The rest of the shows were re-runs or I'd already seen them beforehand, like "Bones." I watched a bunch of new shows this week and reviewed them, so check it out. I also had a few new interviews. Every weekend when I update our news pages, I put the show info up, divided into "Scripted", "Non-Fiction", and "Re-runs". TBS has a new show called "Meet the Smiths," but I wasn't sure what it was. Wikipedia describes it as a "scripted reality show." What the heck does that mean?? Reality shows are unscripted. I mean, we all know reality shows are not "reality", really, but still.... if they're playing themselves, in real situations, how can it be scripted? That makes no sense. And then another prominent site says it's "unscripted." I just put it in "Non-fiction." So difficult to understand these shows sometimes. The week just goes by so fast...no wonder I feel like I never get anything done! 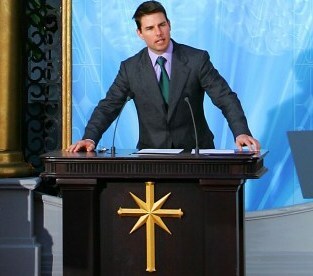 Oh, I forgot, I also watched the great HBO documentary "Going Clear" about scientologists. It was really good. I seldom watch that sort of thing, but after hearing about it so much, I had to watch. It's on HBO On Demand. I believe it's coming out on DVD as well. I enjoyed watching those other shows. "Backstrom" is always so enjoyable. I always started watching the new show "Daredevil" on Netflix. Wow, it's fabulous. I guess I'm going to have to cover yet another superhero show on our site. 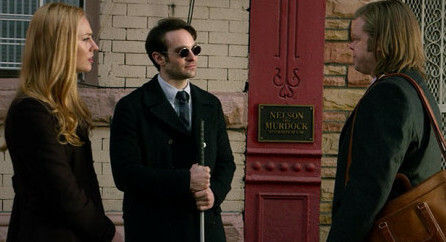 I grew up reading the Daredevil comics, and they did a great job with the show. It's a bit violent, though, but that comes with the territory. I have a ROKU, which is a device that lets you watch Netflix, Hulu, Amazon Prime, Youtube and some other stuff on your TV. It's a pretty handy little gadget. I hate watching shows on my laptop, Kindle or phone. I'm really looking forward to the Daytime Emmys this year. It sounds like they're really going to put some money and effort into making them great. They're airing April 26 on POPtv. That's a new channel; it used to be the TV Guide Channel.